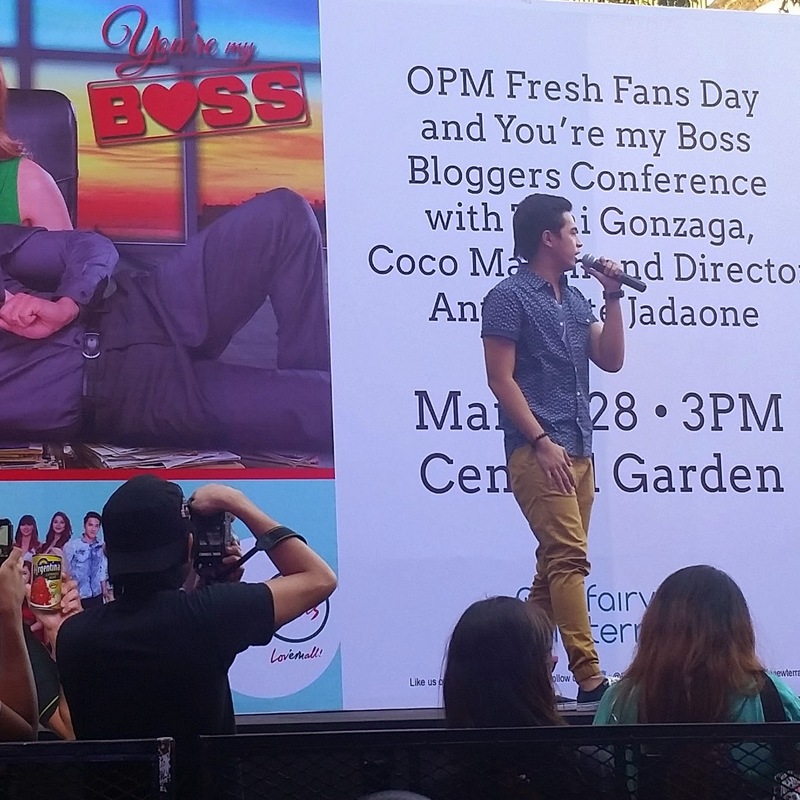 A perfect movie to reflect on April 4 is Star Cinema's newest romantic comedy You're My Boss. Starring the King of Teleserye Coco Martin and the Multimedia Star Toni Gonzaga, the movie will let characters switch places by circumstance. 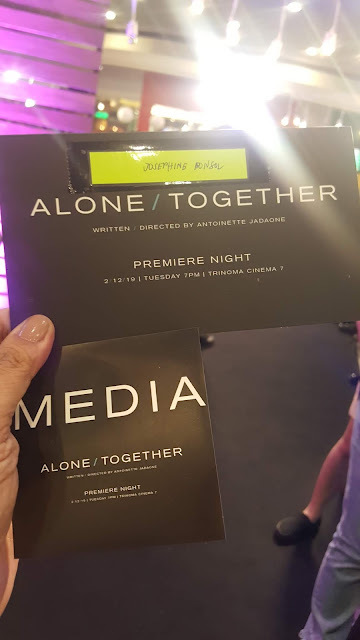 At the bloggers conference held last Saturday at Fairview Terraces, award-winning director Antoinette Jadaone shared her excitement about the movie. 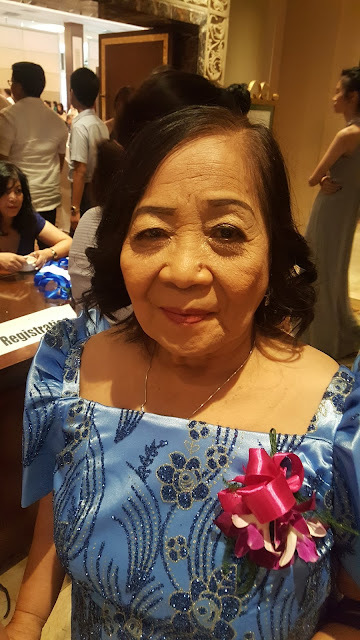 According to direk Tonet Coco Martin was surprising being able to pull-off scenes that was new to him also with the help of Toni. 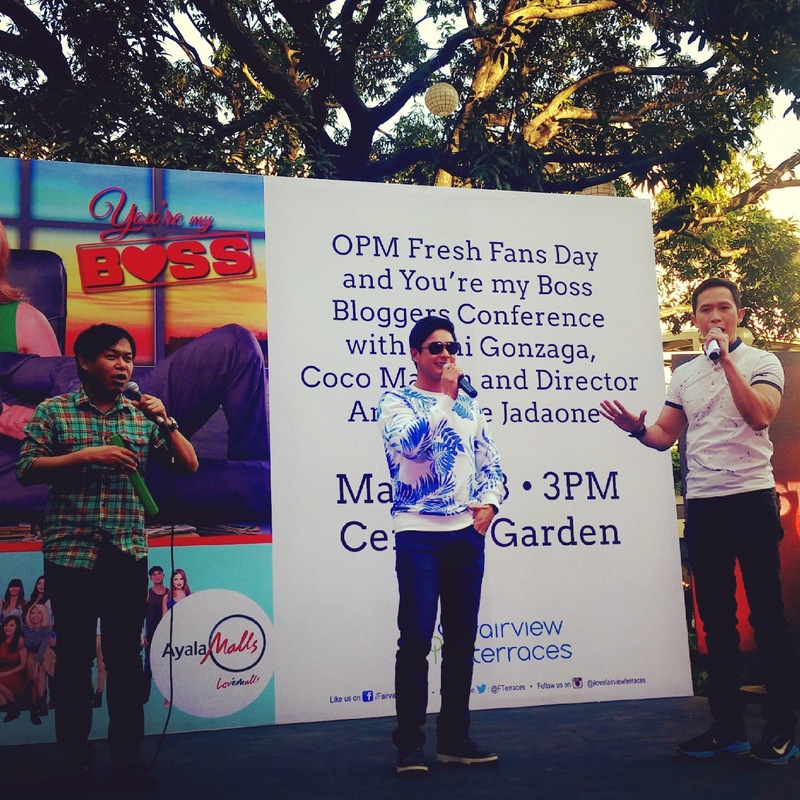 The event hosted by MJ Felipe and Eric John Salut also featured the launch of StarMusic's OPM Fresh album by various artists. Among the performers were the former Ezra band, Magno Twins, Jacob Benedicto and Harana Boys' Marlo Mortel. 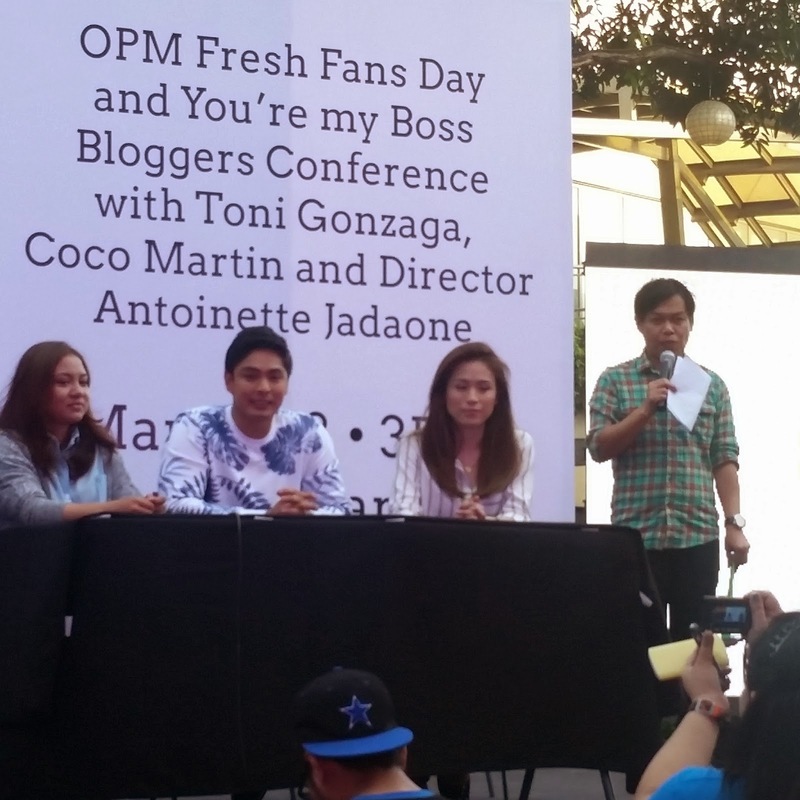 Coco Martin shared to us that it was Toni's idea that the concept was similar to the group's pitch. Coco Martin had become more confident and constantly all-praises to Toni being kind, religious and perfect. I guess it's also Coco's impeccable attitude and talent that set all of us screaming and cheering. Coco is now a boss and I guess he's a good one since all people he works with commend his efforts. I love the "hawaiian shirt" and "helicopter" scenes and I bet we'll all see each other on April 4 in theatres nationwide. 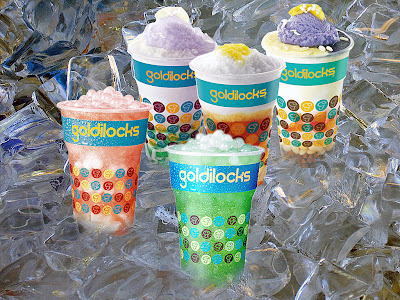 For more information, visit www.starcinema.com.ph, https://www.facebook.com/StarCinema, follow @starcinema on Twitter and Instagram.